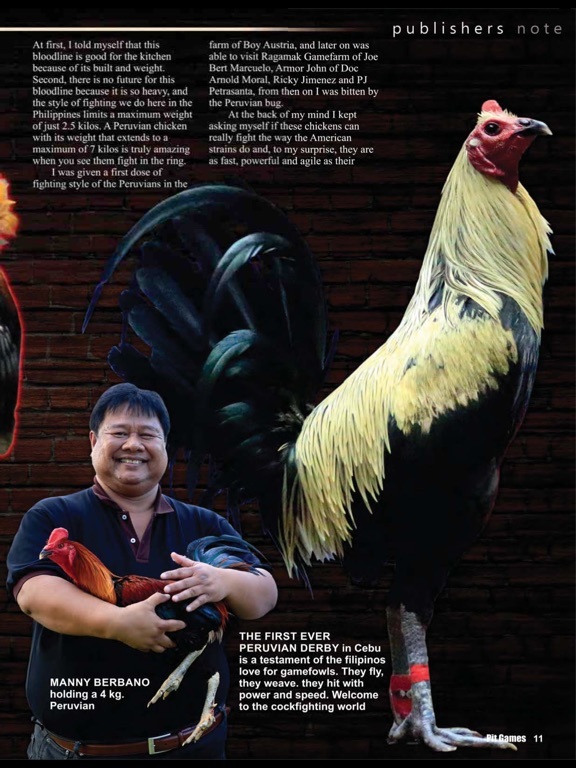 Pit Games was founded in 1994 by its then Publisher, Art Tolentino. 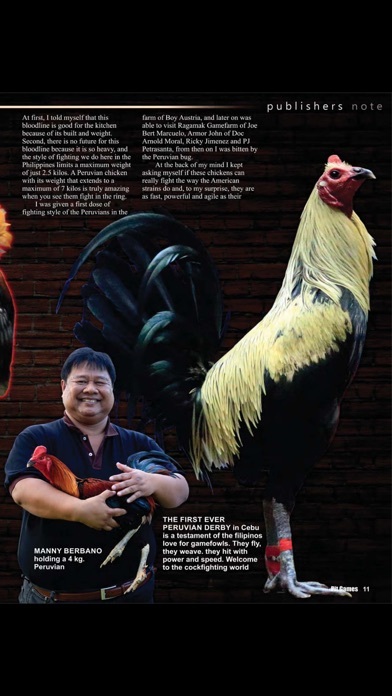 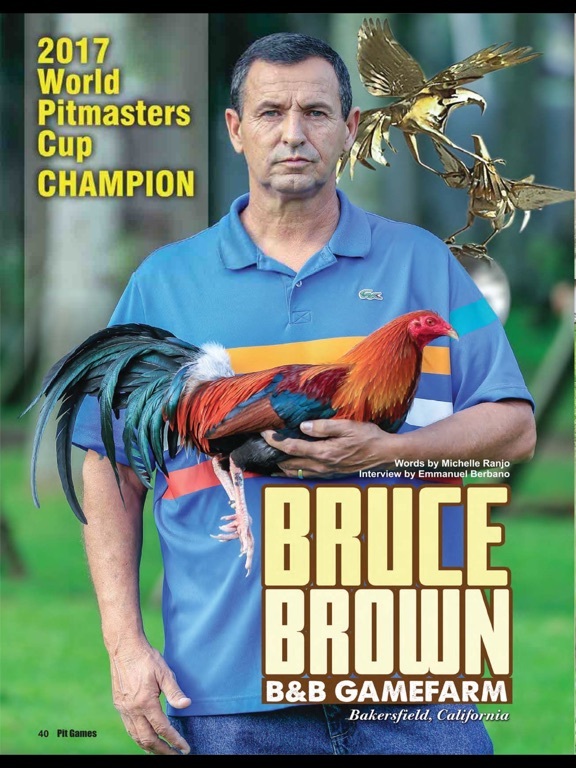 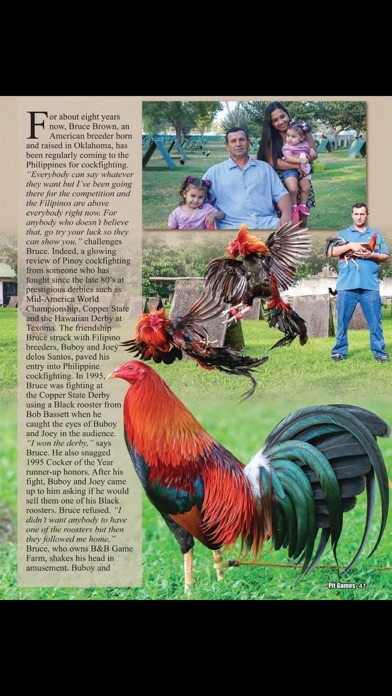 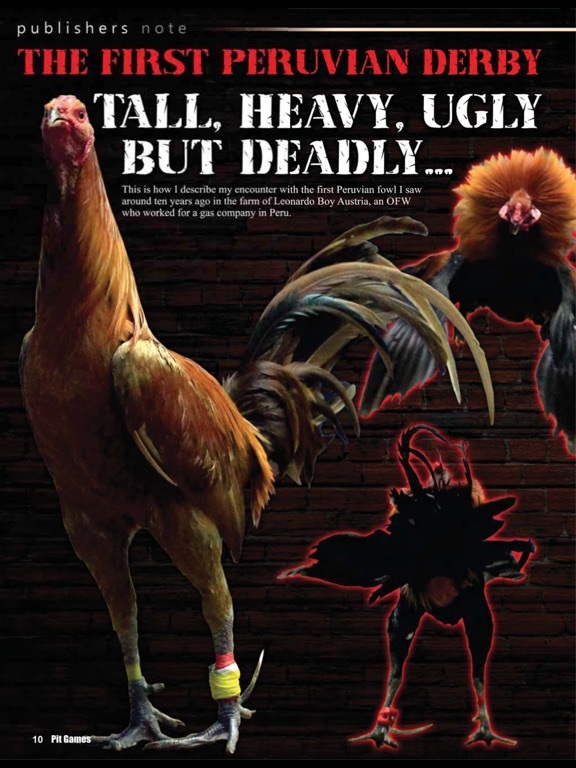 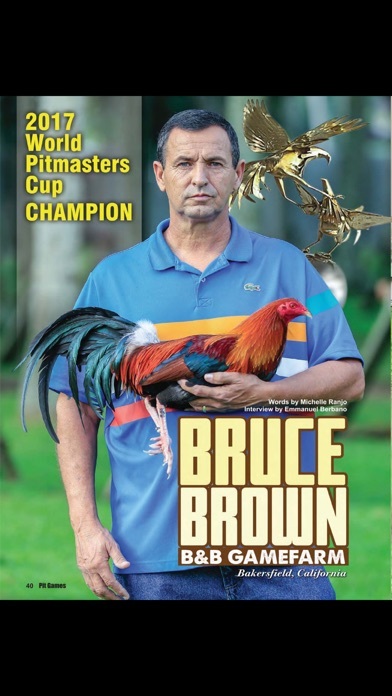 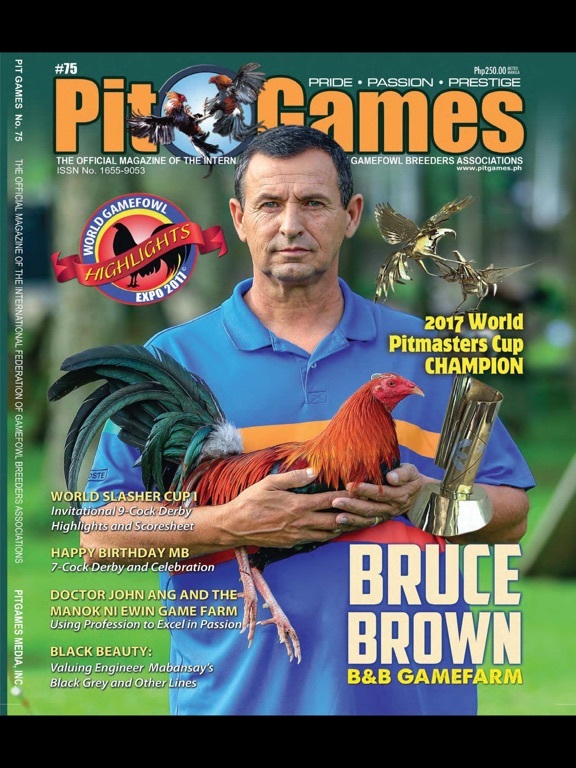 Pit Games, moved forward with lots of innovations and changes, when Mr. Emmanuel “Manny” Berbano, a gamefowl breeder and fresh from his retirement as a Coca-Cola executive took over the helm of this magazine. 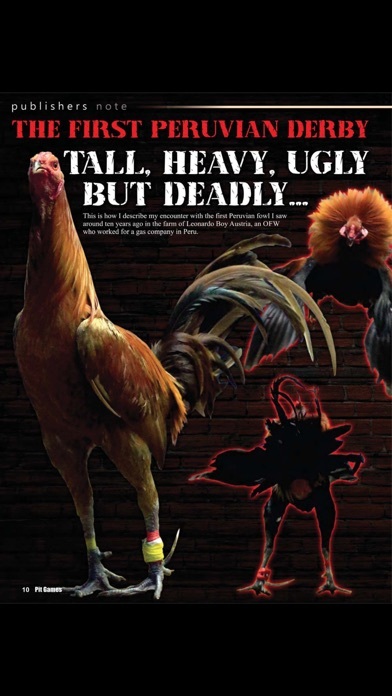 A lot of changes took place and the first noticeable improvement was making it bigger and special from its original size of 7”x 10,” the publisher decided to make it a little bigger and opted for 8.5 x 11 inches size, not only that, from book paper to C2S quality paper that is glossy and very elegant. 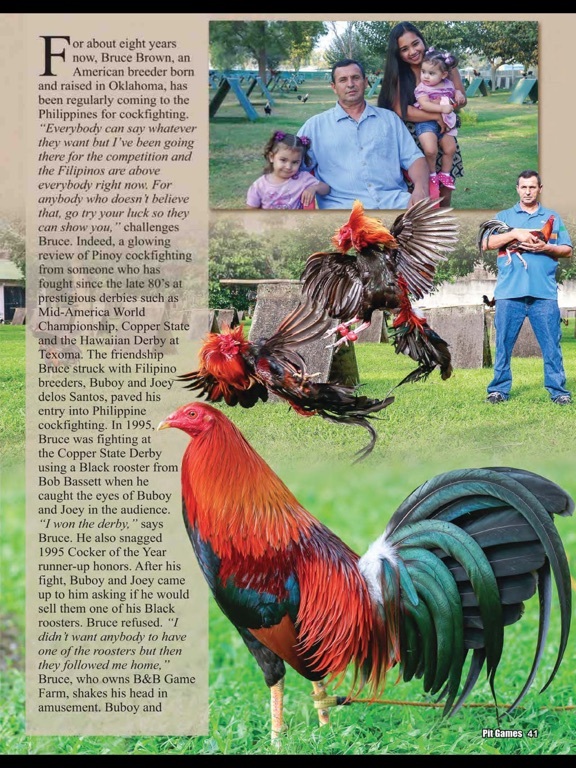 Every page is a work of art, from entertaining and informative articles to quality pictures that are crisp and clear. 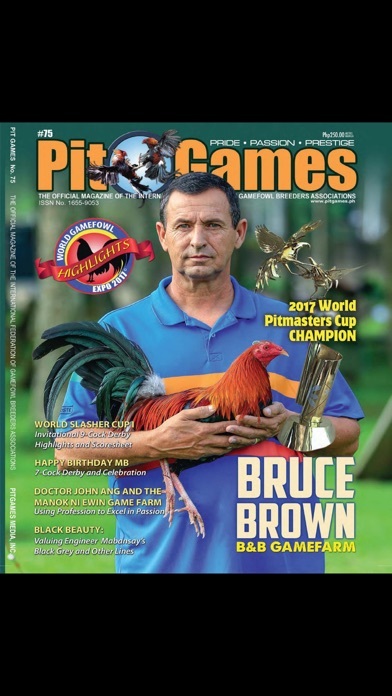 Pit Games is the gamefowl industry’s premiere entertainment magazine and we are proud to be the official magazine of the National Federation of Gamefowl Breeders, Inc., the biggest organization that is dedicated to the growth of the gamefowl industry.